The Tachikara Institutional Quality Composite Leather Volleyball provides great performance for recreational indoor use. It is a durable yet economical choice for institutional play. The ball is durable enough to last through several sets and stands up to many different playing styles. It also comes in a variety of bold and fun covers made of composite leather that holds its ground against multiple players. 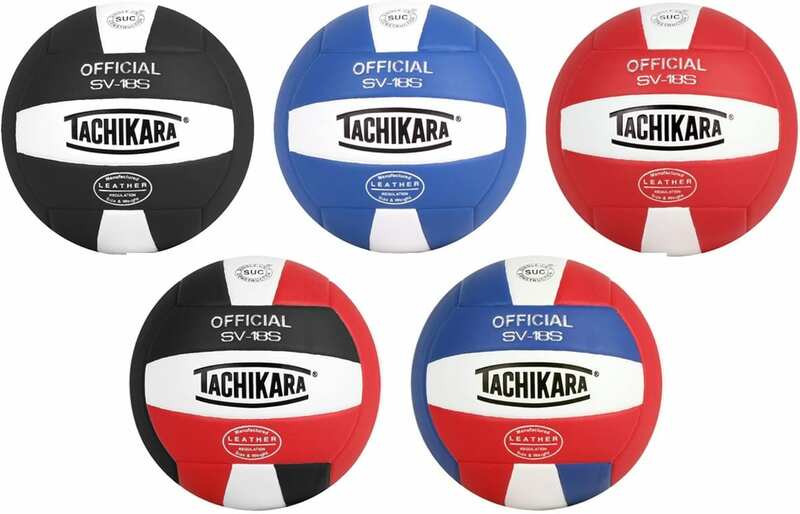 The Tachikara Institutional Quality Composite Leather Volleyball is built using the durable Single Unit Construction method which makes it an affordable and reliable volleyball in several team colors. The rugged Cordley composite leather cover is ideal for multiple-players and will remain intact even after intense use. It also features the improved woven-fiber ‘v100’ composite material cover which is a select cotton reinforcement to provide a soft and consistent touch. It also features a Butyl bladder for durability. The Tachikara Institutional Quality Composite Leather Volleyball’s leather cover, durable woven cotton reinforcement panel and butyl bladder results in an air-tight and durable ball. It is ideal for clubs, camps and other institutional groups with repetitive use. The Ball has a good grip and soft touch. This ball is perfect for indoor use. It can also be used outdoors but it gets water clogged quickly so it is not recommended for the beach. But you can play with it in your backyard during sunny days. This indoor volleyball is the official size and weight. 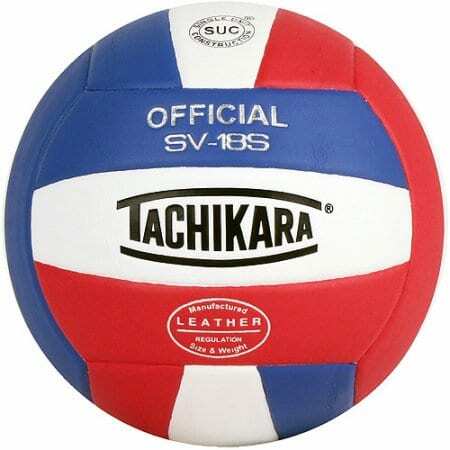 Overall, the Tachikara SV18S Indoor Composite Volleyball is a great ball for the price. It is a durable yet economical choice for institutional play. It is perfect for recreational levels that need high durability for multiple players. If you are looking for a ball that will last a couple of years then this ball is a good choice.